Ding, ding, ding. The bell sounds to end the second round and I turn around and head back to my corner. The first thing I see is a very familiar reassuring face stepping through the ropes to take out my mouthpiece and give me some advice. I sit down, take a deep breath and listen. The amazing part is that very few words actually need to be said, because the bond we have created over the years is so unique that I know exactly what he wants me to do. Of course, he still reinforces what needs to be done in the last round, but he does so with a type of confidence that makes you believe you are capable of anything. With 10 seconds to go before the next bell, I stand up from the stool and Adrian Teodorescu steps out of the ring and I begin the third and final round. I recently competed at the American Continental Championships in Honduras. I returned home with a silver medal, great memories and some deep reflections on the relationship between an athlete and her coach. At this tournament, it was formally announced to the team that Boxing Canada was in the process of recruiting a new head coach. The team, which has many new members, had many questions about the coach-to-be: What would their style be? Would that style match with mine? What was their background? How would that impact me? What was their vision for the future of Boxing Canada? What was their vision for me? I pondered these questions as well. How could I not? But these were not new questions to me. In fact, I had pondered them extensive and quite recently. My former coach of eight years, Adrian Teodorescu, passed away in November of 2016. He was more than a boxing coach to me; he was a friend, a motivator and a mentor. Adrian had a passion for boxing like nothing I have ever witnessed before. Adrian had confidence as a coach that would often rub off on his athletes. When Adrian was in my corner, there was never a doubt in my mind that I could win the fight. In fact, I have never lost a bout with him in my corner. From the moment I started working with Adrian I saw something different about him, something special - he always put his athletes first. He didn’t always agree with the politics at Boxing Canada but he made sure his athletes came first and foremost in every decision he made. He loved to tell jokes and share stories, he truly loved life. More than just coaching his athletes, Adrian took the time to get to know them. He made you feel like a champion and then he turned you into one! We had such a remarkable relationship. And then, quite suddenly, he was gone. I never had the opportunity to talk to him about what would happen when he was gone, or what he hoped I would do. By the time I found out that he was in a life-threatening situation, it was too late. The relationship between coach and athlete is — like most substantial interpersonal relationships — unique, irreplaceable. It is two people sacrificing for a common goal. This happens in many relationships. Even so, I can’t help but imagine that the connection between boxer and coach is unusual. 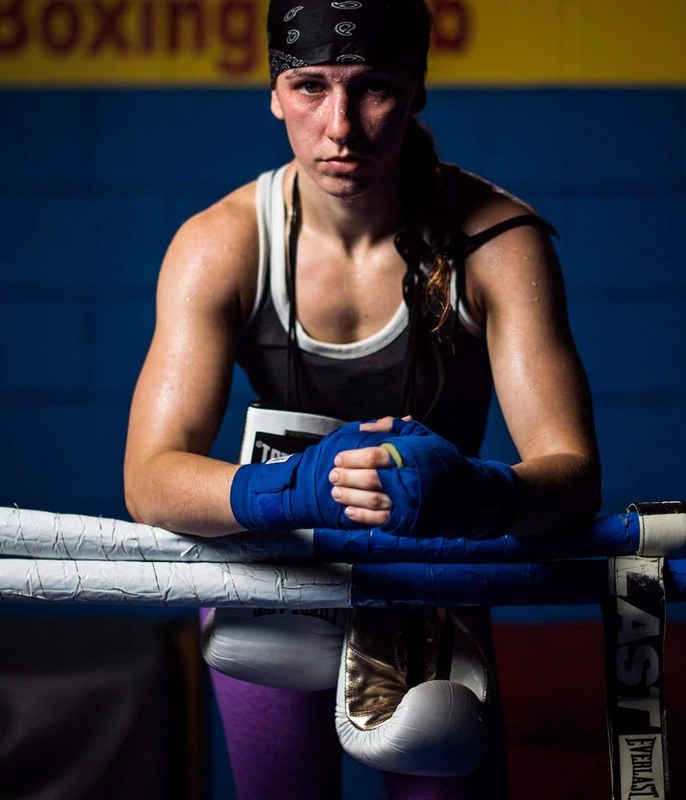 In a boxing relationship, there is one person sacrificing themselves physically — literally blood, sweat and sometimes even tears from the mental and emotional toll. The other person has to be twice as strong to push the athlete to keep going when they want to quit. The coach often also literally has to pick the fighter off the floor. And as distinctive as this type of relationship is, it gets even more inimitable for each individual pair. Adrian coached many athletes. How they worked together was very different than how we worked together. What they needed from him, how he motivated them, the conversations they would have in the corner — all unique. And that’s why I could write forever and still not fully describe to you the relationship Adrian and I had. It is a relationship that only he and I will know. The people who were close to our goals — my teammates, the other coaches — got a glimpse of what we had, but they never fully saw. I know this is not a complete picture of what Adrian and I had, but I hope this gives you a snapshot into what would be one of my most influential relationships. So there I was, back in November, at a crossroads. Asking the same questions my teammates are asking now. After Adrian’s passing, once I was ready, I was faced with the task of finding a new coach. I repeat: a new coach, not a replacement. Earlier, I mentioned the questions we ask when looking for a new coach. We ask these questions and refer to our former coaches and mentors for context. And when it was my time to look for a new coach, I couldn’t help but compare everything to the way Adrian would do things. I tried to implement my old routine in a new gym with new coaches and it just didn’t seem to feel right. I had to finally accept that things were going to be different and that different didn’t mean it was going to be bad. It simply meant it was going to be different than what I had known in the past. As I move forward with my new coach and team, I am excited to learn new things and accept new challenges. I will continue to build on my success but I will always be thankful that Adrian made me the boxer I am today. In the endless pursuit of excellence, days turn into weeks, and weeks into months. One tournament ends and preparation for the next one begins. It can be difficult to fully appreciate the moment and the people around you who sacrifice so much for you. Take a moment to reflect on your journey and that special person who makes it all worthwhile. That person for me was Adrian Teodorescu, my friend.